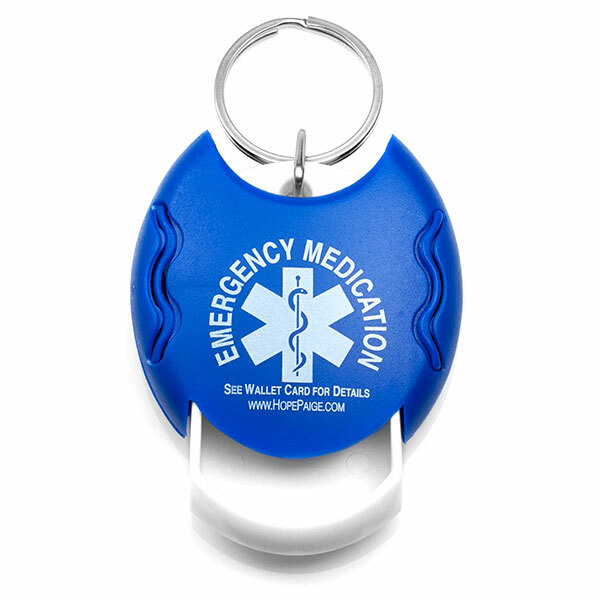 Easy to open pill dispenser is part of your key tag. Take it with you everywhere you go. 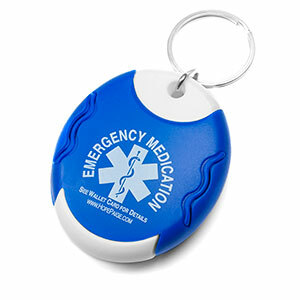 Key tag has notification on front that reads: Emergency Medication - See Wallet Card for Details.